The public sector does lots of good for a great many people, but occasionally it doesn’t perform as well as it should. Sadly, it’s easy to recall examples of this. Example We increasingly live in a culture Communities which doesn’t tolerate failure, so how is this Preppers applicable to emergency planning? It’s a tricky semantic road to navigate, but a cause of personal frustration is that lessons are repeatedly ‘identified’ but less frequently are they ‘learned’. I recently developed a database of lessons from exercises dating back to 2004. It’s a beast, but it was actually a really rewarding piece of work to undertake; helping identify common patterns and themes, which despite being identified over the course of multiple exercises, are yet to be resolved. Communications is probably the prime example (ask any emergency planner!). Countless exercises and incidents have identified issues with communications, and yet despite all the investment in bespoke equipment and training, it still features Benzin in exercise and incident debriefs. 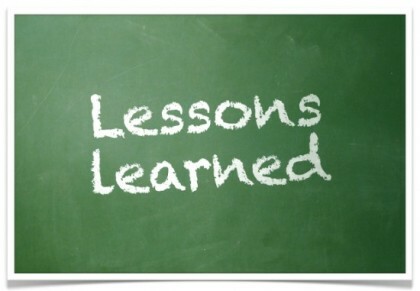 So why do some lessons remain unlearned? Are there bigger obstacles in the way? Are we aiming too high? Are there complex cognitive factors at play which stop us learning from history and experience? I’m yet to read Seth Godin’s latest book, but having heard his comment that “nobody cares about all the hours you spent with the committee whittling your best work…cause a ruckus” I’ve added it to my wishlist. The public, quite rightly, wouldn’t tolerate impaired emergency response where an exercise had Debunking previously highlighted issues, which hadn’t been wholesale nba jerseys subsequently acted upon. Even if that lesson had been dépliant debated and discussed at length in public sector boardrooms. Perhaps Godin has the answer for addressing those lessons which fail to be cheap nba jerseys learned? Maybe resilience practitioners need to be more daring, more imaginative; to overcome these hurdles and achieve the art of learning lessons. In cheap jerseys any case, my commute reading for January is sorted!